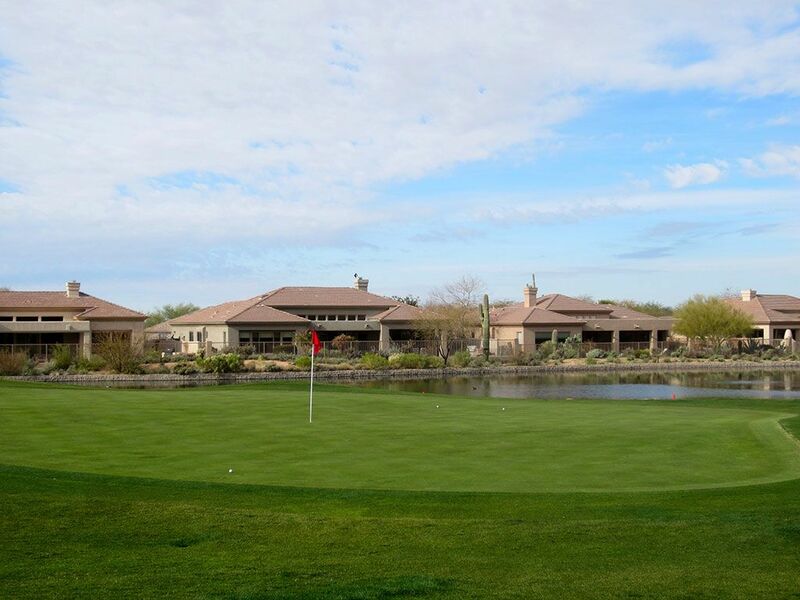 Course Website: Official Website - Visit Terravita Golf and Country Club's official website by clicking on the link provided. 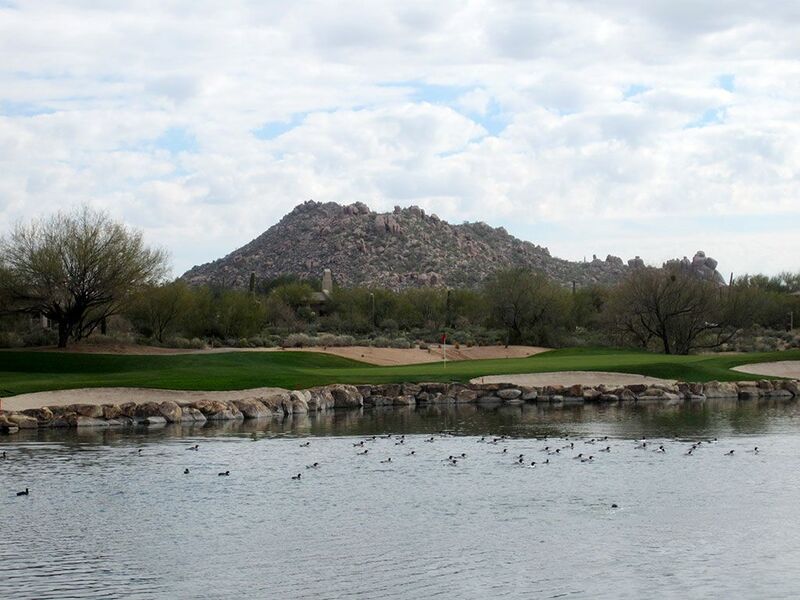 Accolades: Ranked 17th best course in Arizona by Golf Course Gurus. 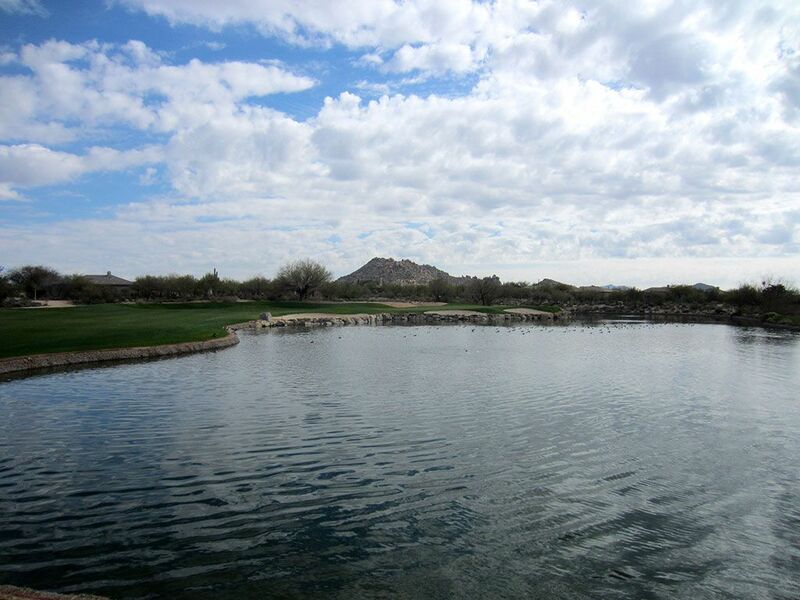 What to Expect: Terravita is a private club located in the golf rich community of Scottsdale north of Phoenix. The Billy Casper design is one of the most playable desert courses I've had the pleasure of visiting due to the extra generous fairways and greens. 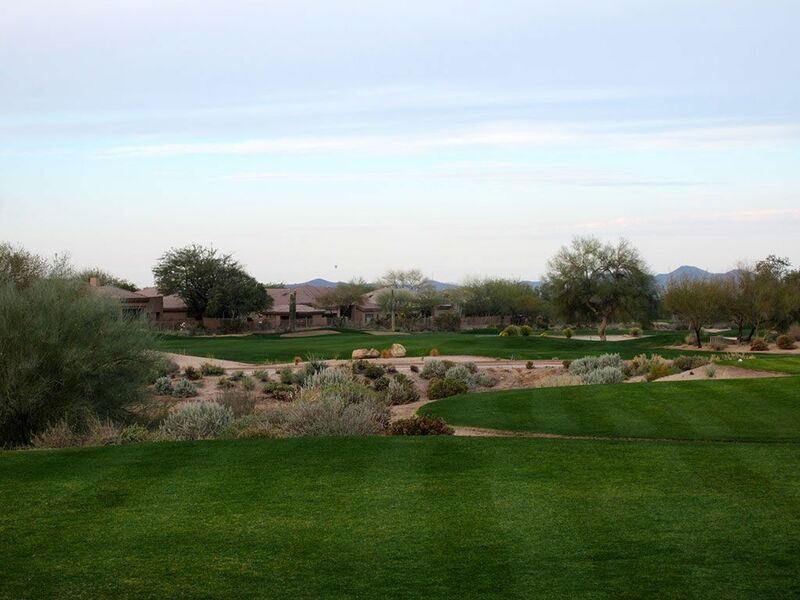 The course has little elevation change, however the distance between some greens and tees will discourage many golfers from walking the course. The course doesn't rely on a dramatic stretch of holes to define itself and rather employs one solid hole after another thus bringing balance throughout the routing. The club is a big draw for Canadians looking to get out of the cold and now employs an annual America vs Canada Ryder Cup type competition. In addition to the golf, Terravita has developed a reputation as one of the best social clubs in the area due to the unpretentious vibe and great camaraderie among the membership. Signature Hole: 10th Hole – 442 Yard Par 4 – The largest water hazard on the property is found on Terravita's signature hole where the fairway takes a late turn around the water and leaves the green fronted by the pond. 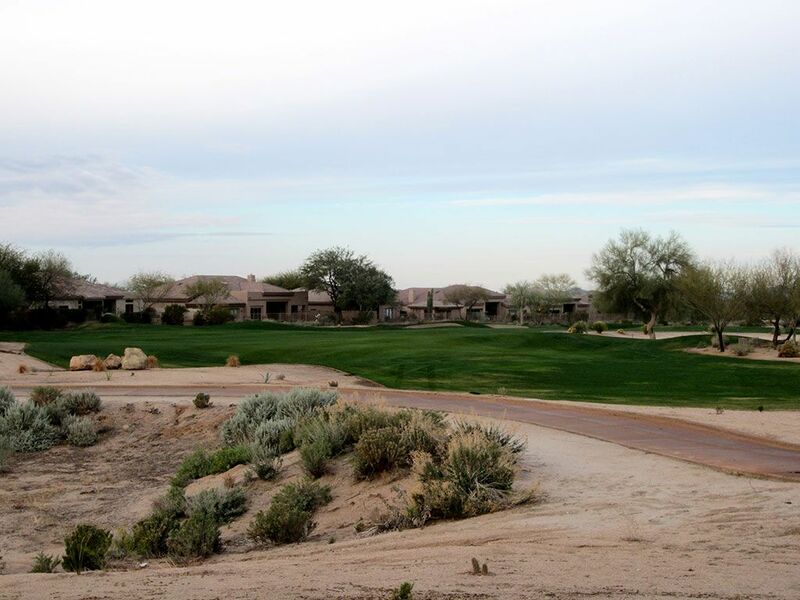 Off the tee players must decide whether to lay up in front of the desert wash that crosses the fairway or whether they want to try and carry it which also brings the water into play. With three bunkers protecting the near side of the green and a single bunker on the back side to compliment the water feature, this is the most scenic and demanding hole at Terravita. 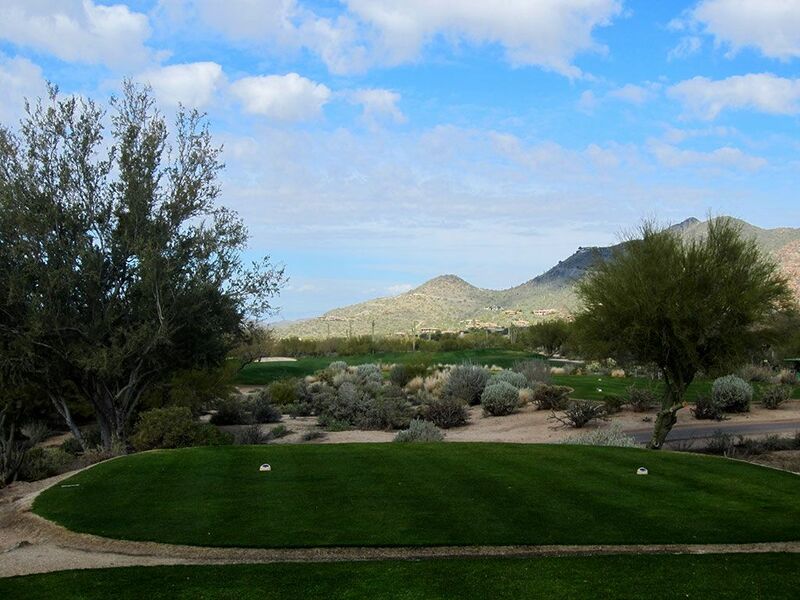 Best Par 3: 4th Hole – 211 Yards – The 4th enjoys an inviting front while the sides and back are protected by bunkers. 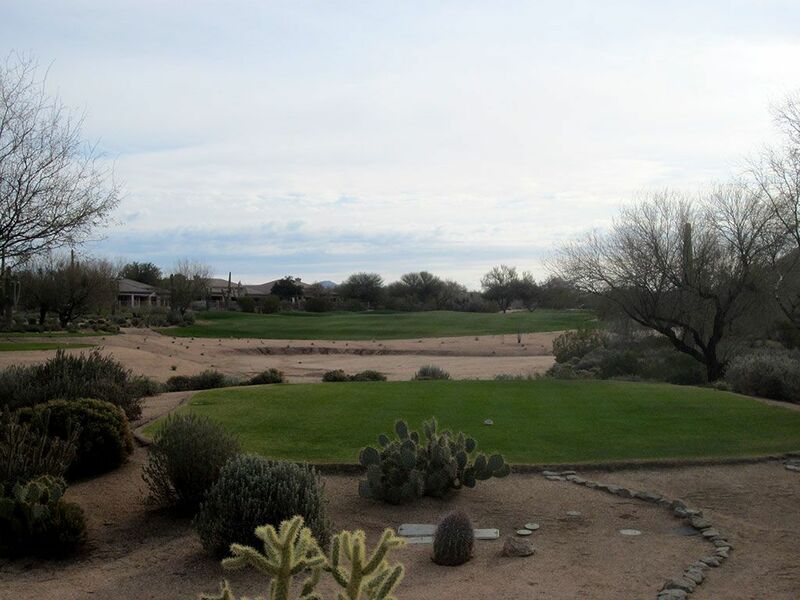 The putting surface sits at the base of a small bowl that has been carved out in the desert and surrounded by scrubby bushes and trees. 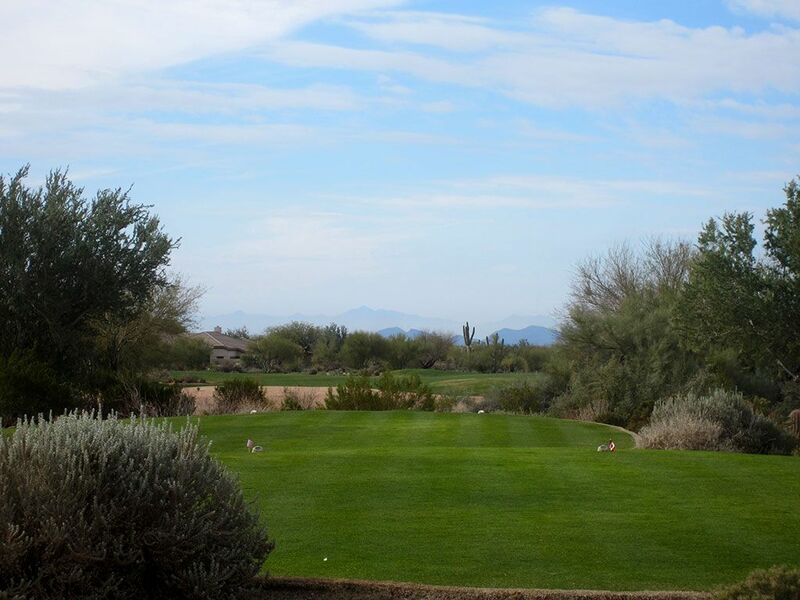 Best Par 4: 17th Hole – 354 Yards – A 90 degree dogleg left is what you'll find at Terravita's 17th hole. Players feeling especially bold can take their drive over the swimming pools found in the backyards of the houses framing the left side of this hole which is on a direct line with the green. Plenty of fairway is afforded to players taking the safe line straightaway at the dogleg while bunkers and a thin strip of fairway are found left of the short grass towards the green. A great risk reward hole with more character than most holes at Terravita, the 17th is a treat to play near the end of your round. Best Par 5: 3rd Hole – 610 Yards – The first par five you encounter at Terravita is also the longest hole on the course at a whopping 610 yards. This behemoth features two fairways and then a green site that is separated by a desert wash. With no chance of reaching the green in two, this is a plotting hole where accuracy will be rewarded more than length as avoiding the fairway bunkers is critical. 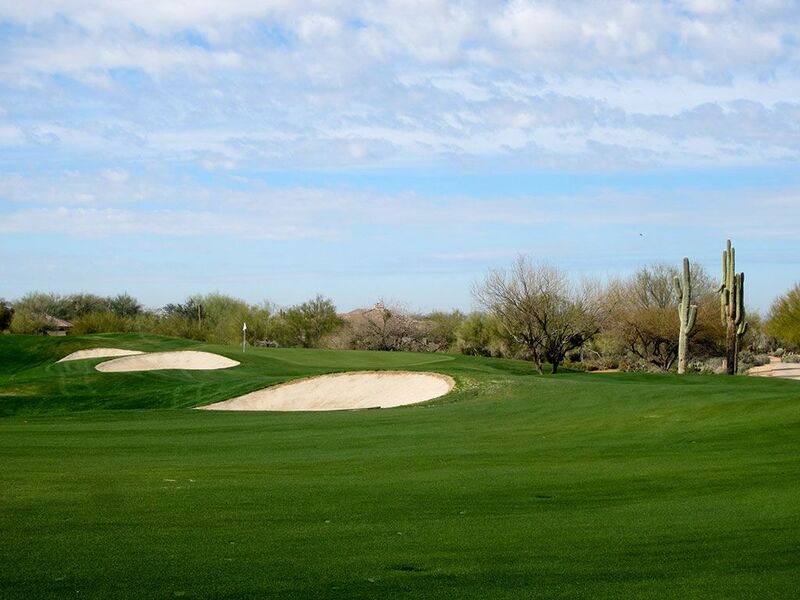 If for some reason you feel compelled to reach the green in two, I hope you can rip a 3 wood over the desert to a green fronted by a crescent bunker and land it on the putting surface like a butterfly with sore feet. Birdie Time: 12th Hole – 524 Yard Par 5 – The 12th is a reachable par five that presents a great chance to score. 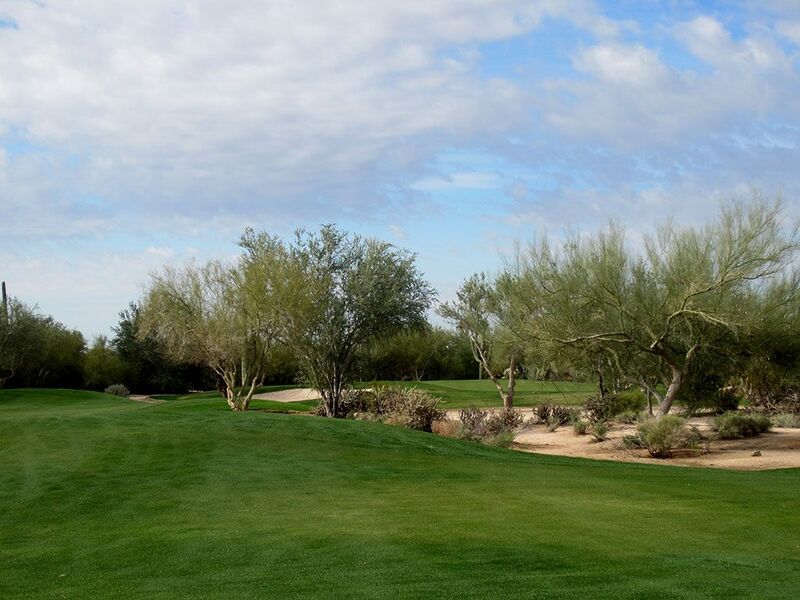 Little trouble exists in the driving zone while the approach shot features a tree in the middle of the fairway to negotiate and a green that is encircled by desert and creates a virtual island. A good drive will leave a long iron in your hand to attack this green with while two bunkers lie in wait to catch a wayward shot. Even getting into a bunker will leave a legitimate chance to get up and down and walk away with a birdie. Bogey Beware: 10th Hole – 442 Yard Par 4 – Already featured as the signature hole, the demanding 10th resurfaces here as the Bogey Beware hole. 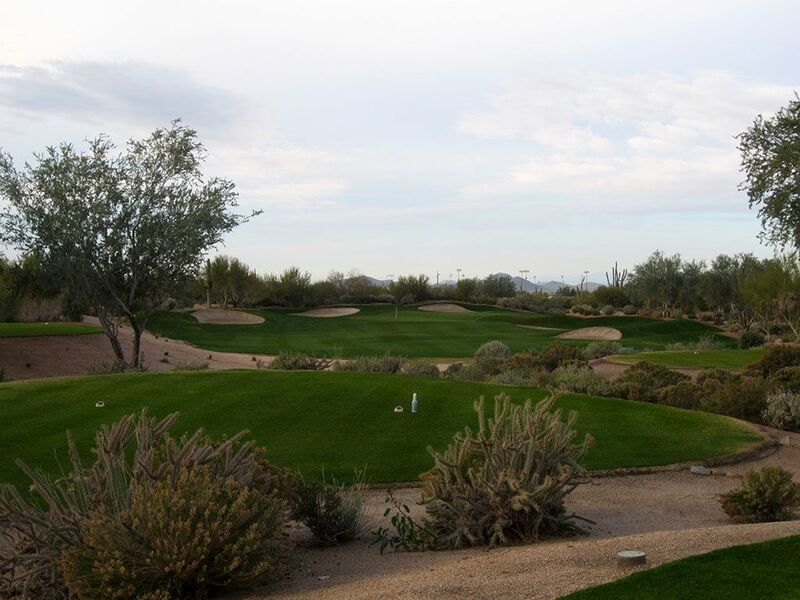 Players who lay up in front of the desert cross wash will leave themselves with a long approach to the most heavily protected green on the course. Players who challenge the wash and need to be leery of the pond that comes into play on the right side. Nothing shy of a great tee shot and precise approach will be required to walk away with par here.